University of Richmond is nonsectarian but has a beautiful chapel on campus. 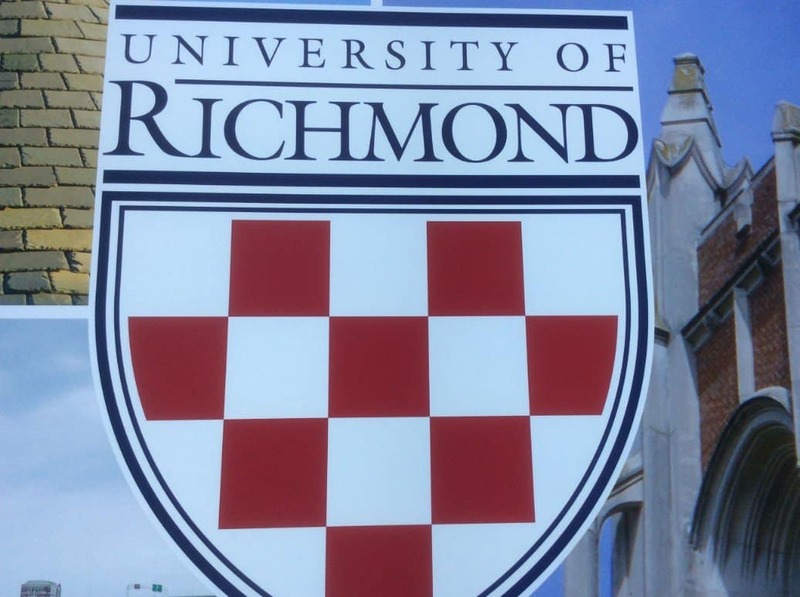 The University of Richmond is on the larger side of liberal arts colleges with 3,000 undergraduate students, but it’s a comprehensive university with graduate law and business schools. With an 8:1 student-to-faculty ratio, UR has small classes and students enjoy close relationships with professors. Everyone starts in the School of Arts and Sciences, and 70% of UR students declare a major in this school. First year seminars are popular, with more than 40 available topics helping students sharpen their written and oral communication skills. Students can also major at the Robins School of Business, which focuses on experience-based learning, or the Jepson School of Leadership Studies. University of Richmond is very proud to be home to the first School of Leadership Studies (Jepson), an interdisciplinary program that requires 240 hours of service learning or internship work. Students in this program critically analyze what leadership looked like in the past and how leaders will succeed in the future. UR does not offer an engineering degree, but they do have a 3-2 program with Columbia University or nearby UVA. Thirty percent of the men and half of the women join Greek organizations – there are gathering cottages but not residential fraternity or sorority houses. 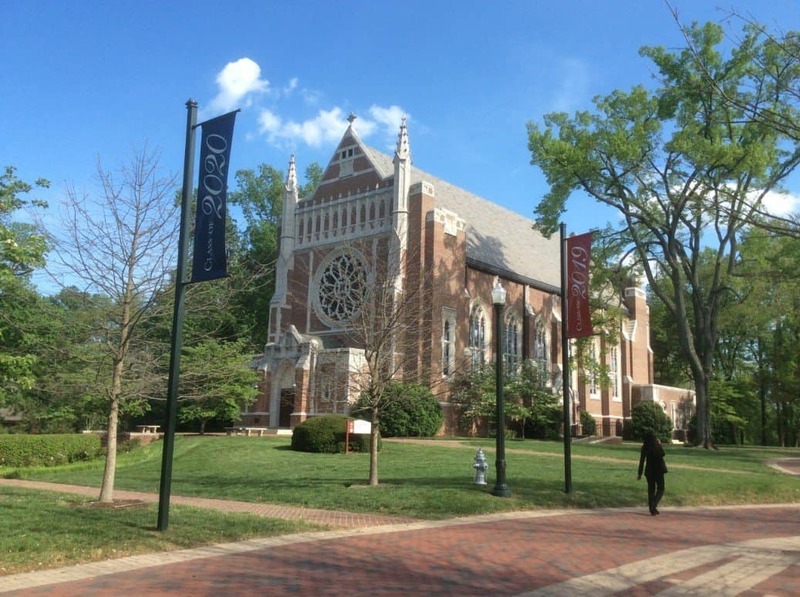 Ninety percent of University of Richmond students live on campus; many students join Living/Learning Communities which have specialized themes. UR also has very strong International Center, which supports the 60% of students who go abroad. The Richmond Guarantee gives each student $4,000 towards a summer internship or research project, and there are 8 Fortune 500 companies based in the Richmond area. Downtown Richmond, which has tons of great restaurants (and at least one awesome cupcakery), is 6 miles away. University of Richmond is 2 hours away from Washington, D.C., and 2 hours from popular spring break spot Virginia Beach. UR is need-blind, which means they do not care whether or not you apply for financial aid when they are making their admission decision. On top of meeting 100% of students’ demonstrated financial need, UR also has merit scholarships. The University of Richmond campus is pristine, with a beautiful man-made lake in the middle separating the academic and residential sides of campus. Admitted UR students have an average GPA of 3.76 (unweighted), have generally taken about 4-6 AP classes, and have an average ACT score of 32 or SAT score of 1380. Admissions officers are looking to see how students have pushed themselves within the context of what their high school offers. Our tour guide was a New Yorker who was thrilled to be away from home and out of the cold weather. She told us that UR is “not super competitive” and “not super stressful,” and described a collaborative environment in which everyone wants everyone else to be involved and successful. 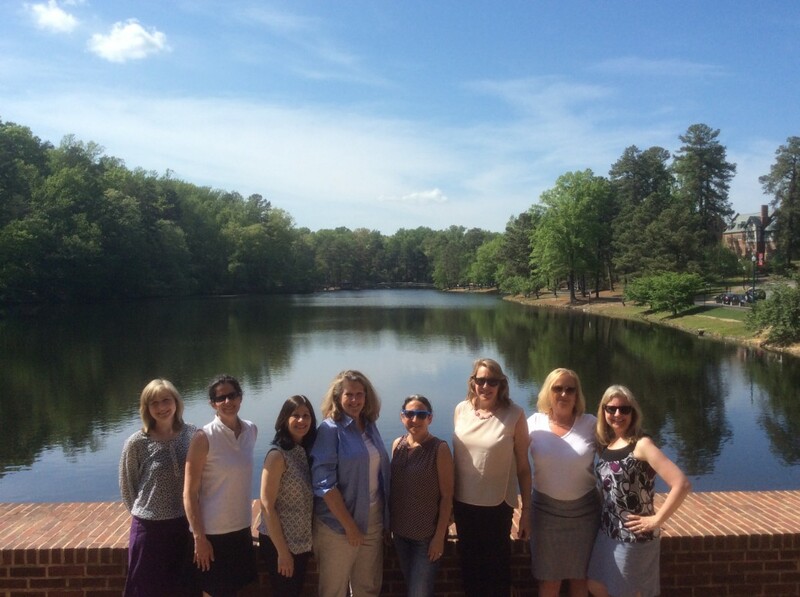 Scroll through the photo album below to see all of our University of Richmond photos!